Toyota Racing has ended the second qualifying session for the 24 Hours of Le Mans in first place. In another chaotic session the No. 7 Toyota TS040 Hybrid set the fastest time in the final minutes of the session. Kazuki Nakajima was the fastest driver with a lap time of 3:22.589, beating Porsche Team’s Romain Dumas by just 0.119 seconds. Dumas also set his fastest lap time on his final lap of the session. Third fastest was the No. 20 Porsche 919 Hybrid. Timo Bernhard’s fastest time in the second qualifying was just two tenths slower than the sister No. 14. 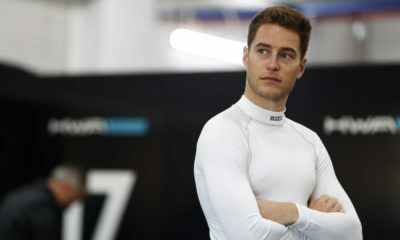 The German driver set his fastest time with just over five minutes to go. After his improvement the majority of teams put in faster times. Oliver Jarvis was the fastest Audi driver. The young Brit was fourth fastest, 0.682s behind Nakajima, but almost four tenths faster than the No. 8 Toyota TS040 Hybrid. The two remaining Audi’s finished sixth and seventh overall, ahead of the two LMP1-L Rebellion R-Ones. In LMP2 Murphy Prototypes looked set to end the second qualifying session at the top of the time sheets, but moments after the checkered flag had been shown Tristan Gommendy moved into first place in the No. 46 Thiriet by TDS Racing Ligier JS P2 Nissan. Gommendy’s fastest time of 3:38.094 was just over a tenth faster than Karun Chandhok’s time in the No. 48 Oreca 03R Nissan, with Signatech Alpine completing the LMP2 top three. In GTE Pro the four different manufacturers remained in the top four positions, although the No. 73 Corvette moved up into second place, behind the No. 51 AF Corse Ferrari. Bruni’s time of 3:54.754 was not improved tonight, but the Corvette closed the gap to just three tenths of a second. SMP Racing held onto provisional pole in GTE-Am, with no improvement of the fastest time set last night. Like yesterday the session was interrupted a number of times with cars crashing and spinning off the track. The first red flag flew with 75 minutes still to go when James Calado in the No. 71 AF Corse Ferrari 458 Italia went off at the Porsche Curves. Calado went to the medical center for checks, the Ferrari was returned to the paddock with serious damage. After the restart, 25 minutes later, lap times began to drop and with 43 minutes remaining Lucas Di Grassi put in the No. 1 Audi’s first timed lap in qualifying. Two laps later he made a mistake and hit the barriers coming out of Indianapolis. Despite damaging the car Di Grassi rejoined, but just before the pit entrance he moved over and pushed Leo Roussel off the track. The No. 29 Pegasus Racing Morgan-Nissan veered across the track and slammed into the concrete barrier. This accident and the ProSpeed Porsche hitting the barrier at Dunlop resulted in another red flag. The third session will commence 30 minutes early at 9.30 p.m. to 12 a.m. local time (3.30 to 6 p.m. ET).